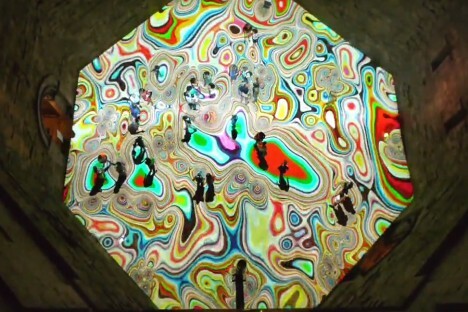 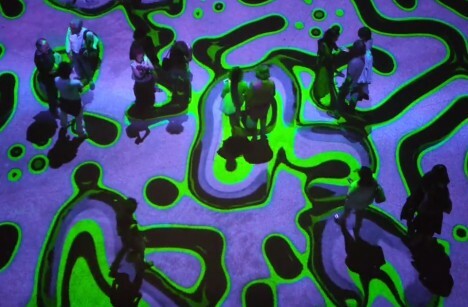 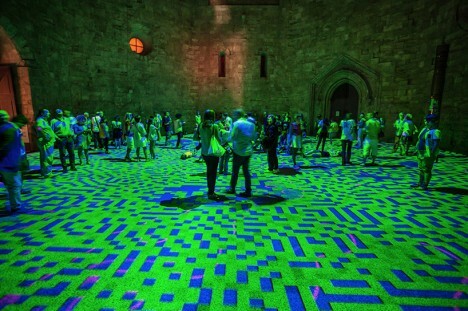 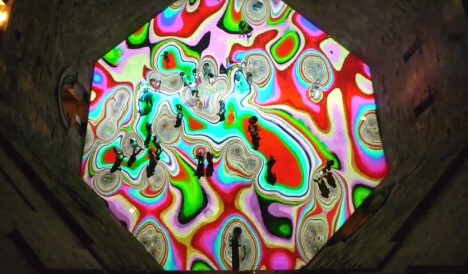 Not only does the light projected onto the floor of the church move with the music in biomorphically-inspired patterns, it reacts to the movements of the visitors as they pass through the space. 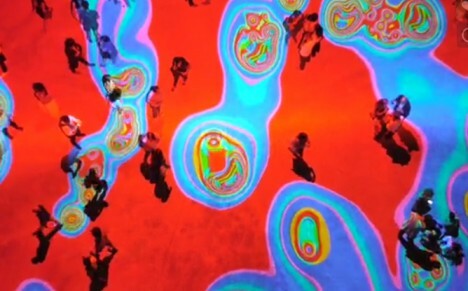 “This world of colors and shapes in movement takes us, as in a giant kaleidoscope, on an imaginary, poetic voyage,” says Chevalier. 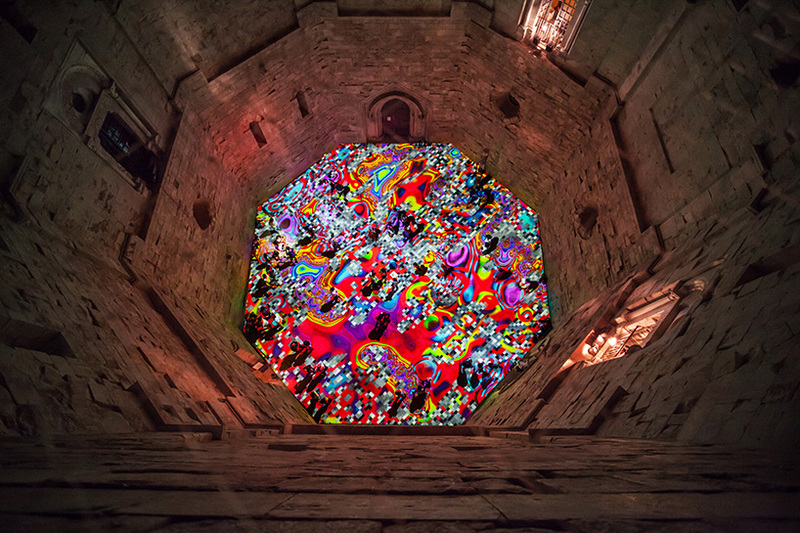 The shapes shift from geometric pixelated patterns taken from traditional Italian mosaic work to lava-like swirls as unsettling music plays in the otherwise darkened space. 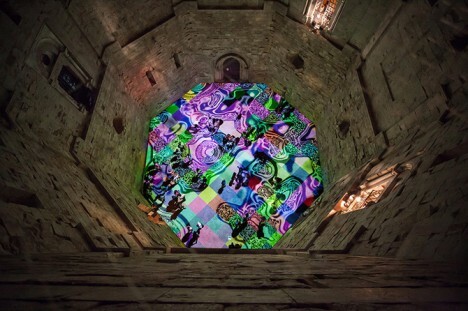 Seen from the windows in the upper floors of the church, the display is even more dramatic, but the best way to experience the installation is without a doubt to immerse yourself at ground level, enjoying the feeling of the floor seeming to move underneath you.